Happy St. Patrick’s Day! Sorry I am posting this rather late, but what can I say, I’m a busy lady! The Boy and I are thrilled to celebrate our heritage today…well his heritage, mine only partially I’m sorry to say. In any case, I hope you enjoy your St. Paddy’s today and do have a pint of Guiness for me! In honor of the day I am doing another giveaway. 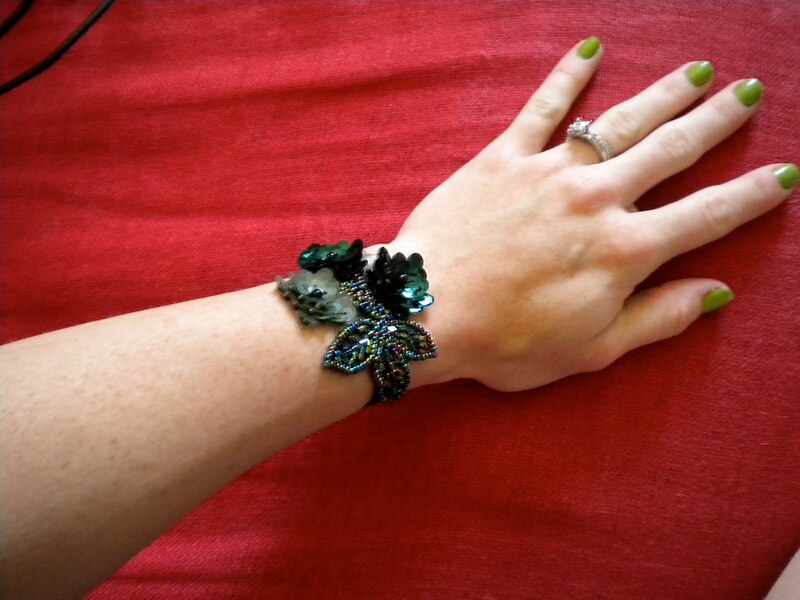 This time it’s a new item for the etsy shop; the “Scarlet O’Hara” corsage see pictured here. 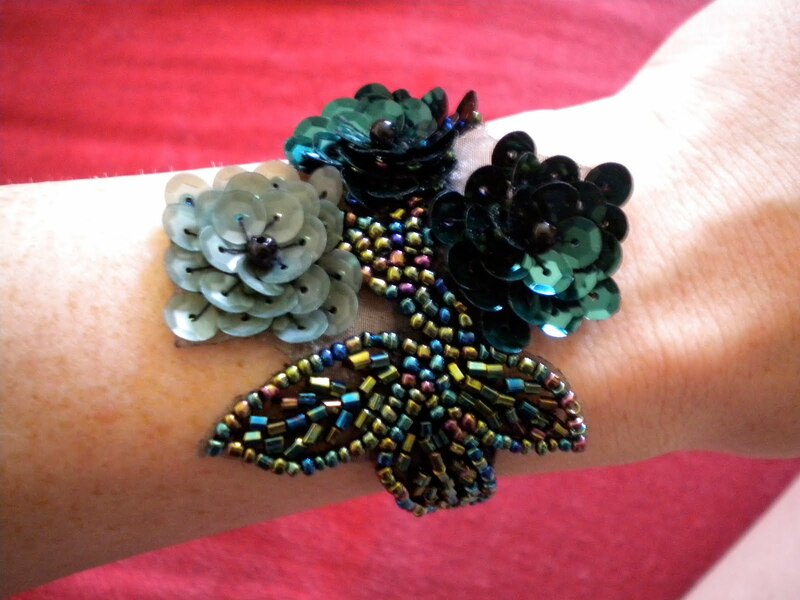 This lovely item is carefully crafted with a dark green sequined and beaded applique on a thin black elastic wrist band. It’s the perfect accessory to glam up any “little black dress” or the even the most basic pair of jeans. To enter leave a comment by noon Friday (March 19th) or become a follower to this blog. It’s so easy even the boy could do it! An LA lady's pursuit of sunshine, style, and small pleasures on the east coast. Won a stuffed hamster (or maybe it’s a chinchilla) at @circusvegas and celebrated with dinner at the @peppermillvegas. 💕✨FLAMINGOOOOO ✨💕 Feeling grateful to be in Vegas for PBS TechCon at the fabulous Flamingo!